Hello friends! 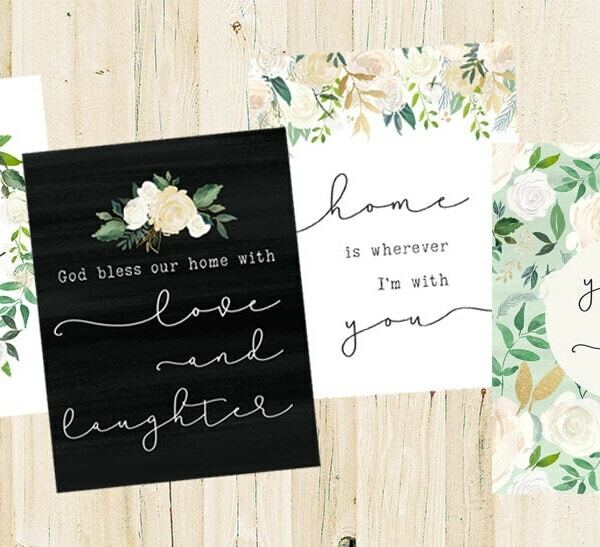 It’s Leslea from A Heart Filled Home, and I’m so excited to share some free printable place cards with you today! 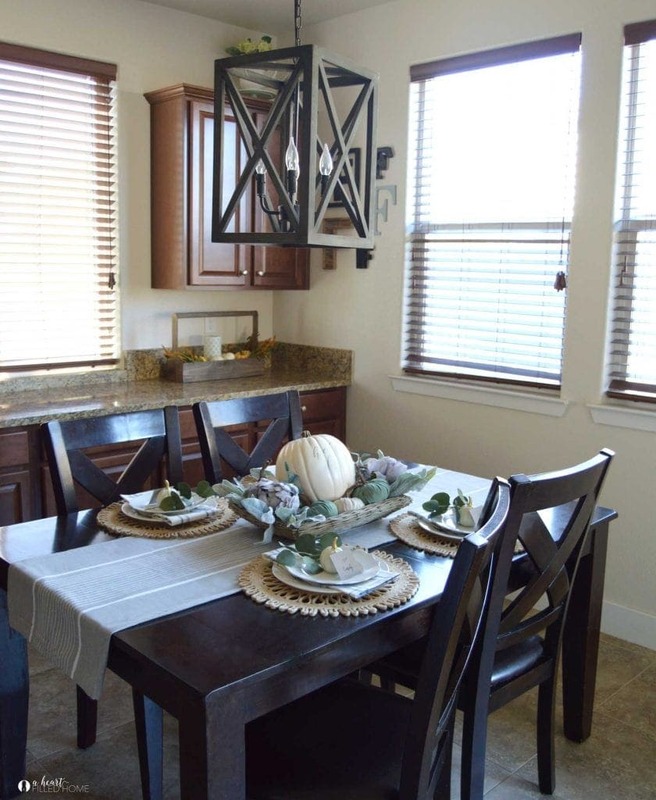 Holiday entertaining is one of my favorite things to do. 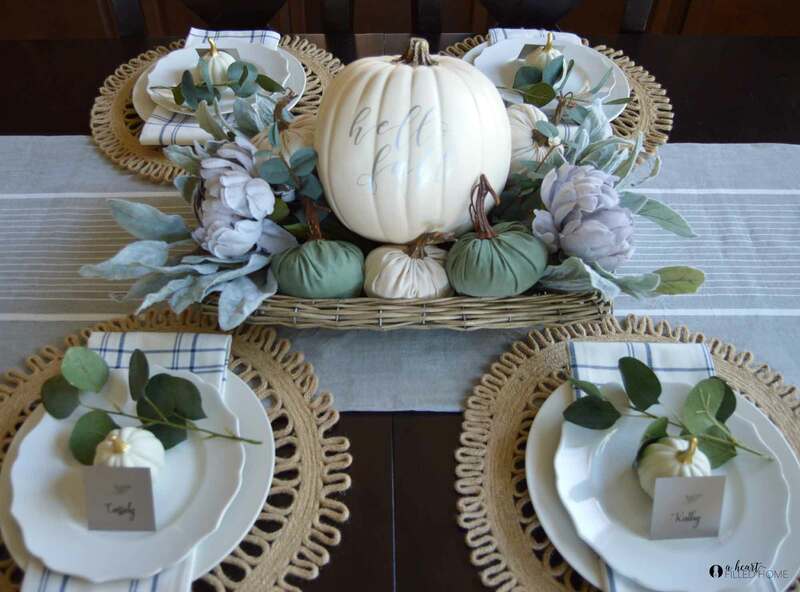 Personalizing your table is such a great way to make your guests feel special and welcomed! 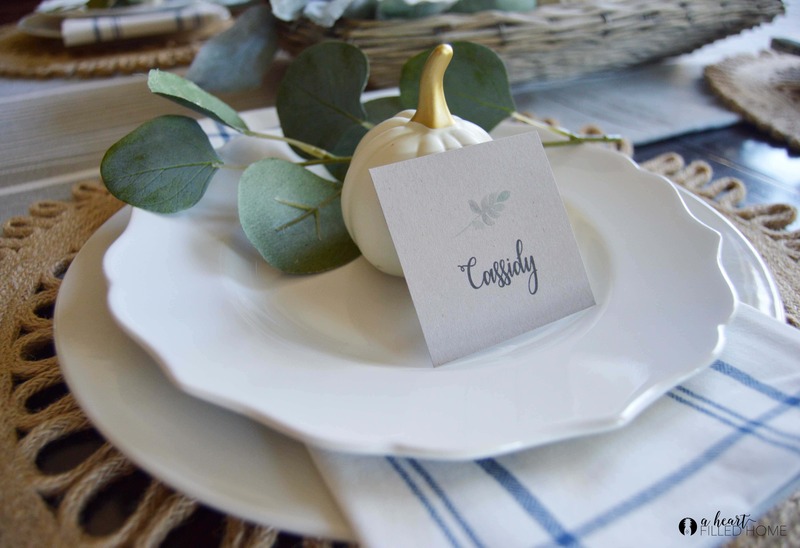 These place cards can be used for any occasion. You could use these for a dinner party, Thanksgiving, Christmas, or Easter. With Thanksgiving quickly approaching, I’ll be using them for our Thanksgiving meal. I styled the cards with my Fall table decor and I love how they look with all of my Fall greenery! 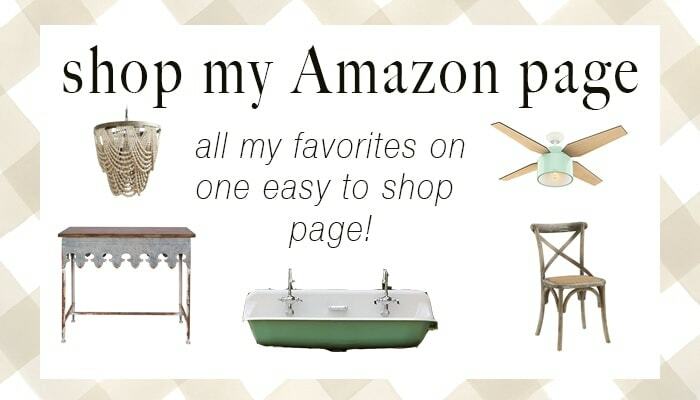 I have included 2 different options for you to use. The first version is a set of blank cards so that you can write-in your guests names. 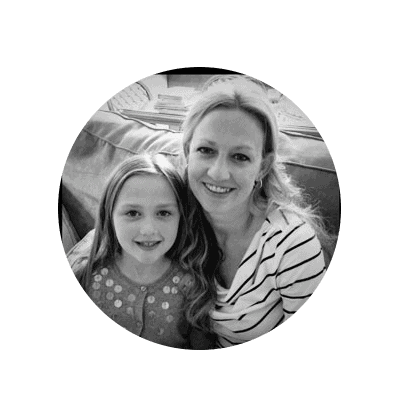 This option would be great if you have some last minute guests arriving for your event, and need to fill in the names that day. You can also personalize them with their last names or other details. The second version is an editable PDF file with text already in place, so you can type in your guests names and print them out ready to go! For this option you will need to first download the free font called “Congrats Calligraphy” that you can download here. This font is free for personal use. 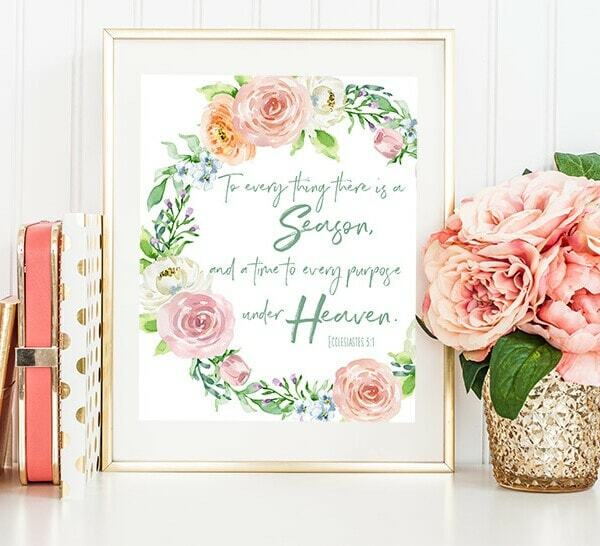 Once you have downloaded the font and installed it onto your computer, you will then open up the editable place cards file in Adobe Acrobat and you can add in your guests names! Download the set of blank place cards here. Download the set of editable place cards here. I printed my place cards on some natural colored card stock paper to give some contrast against my white plates. 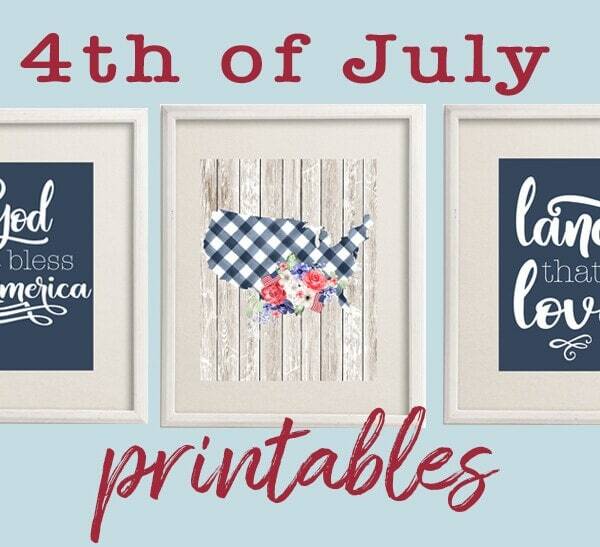 You could print these on any color you choose – white, cream, beige or light brown paper would look beautiful too! 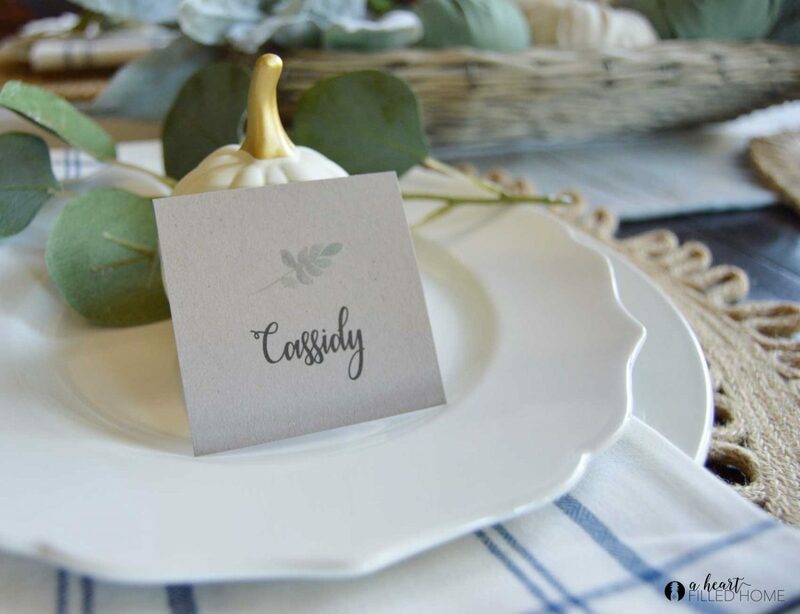 Your guests will feel extra special to see their names at your table. I always feel special and welcomed when I see my name at a place setting. That little detail and special gesture will make your guests feel so valued! 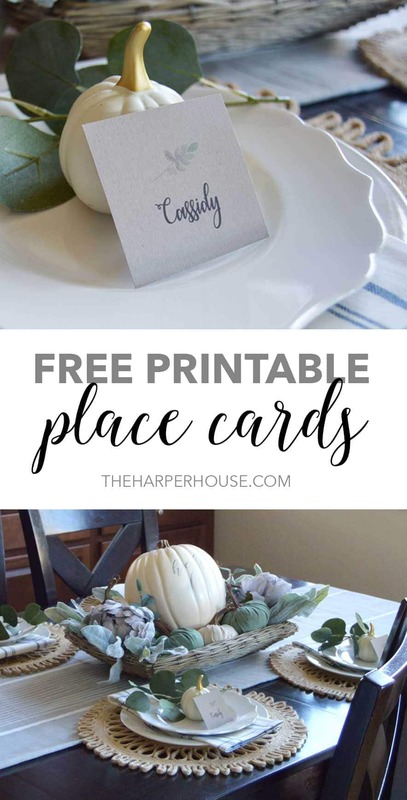 I hope you enjoy using these free printable place cards for entertaining. I’m looking forward to putting them to use for Thanksgiving in a few short weeks! 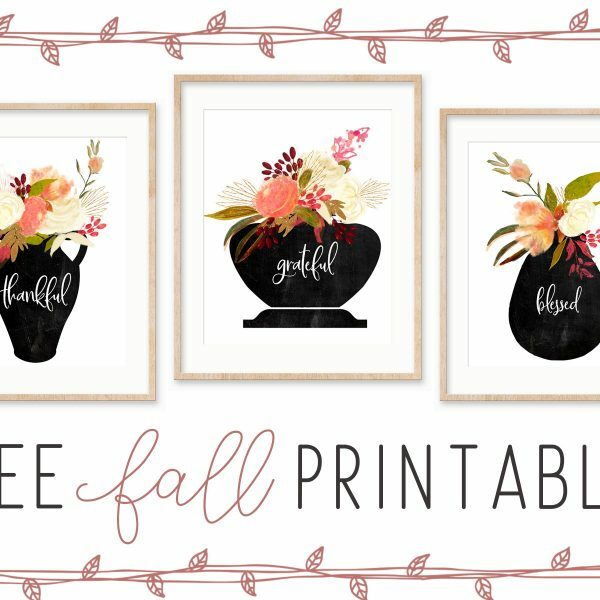 If you loved these printable place cards, I know you’ll also enjoy my free meal planning printable and my easy DIY fall hoop wreath tutorial! 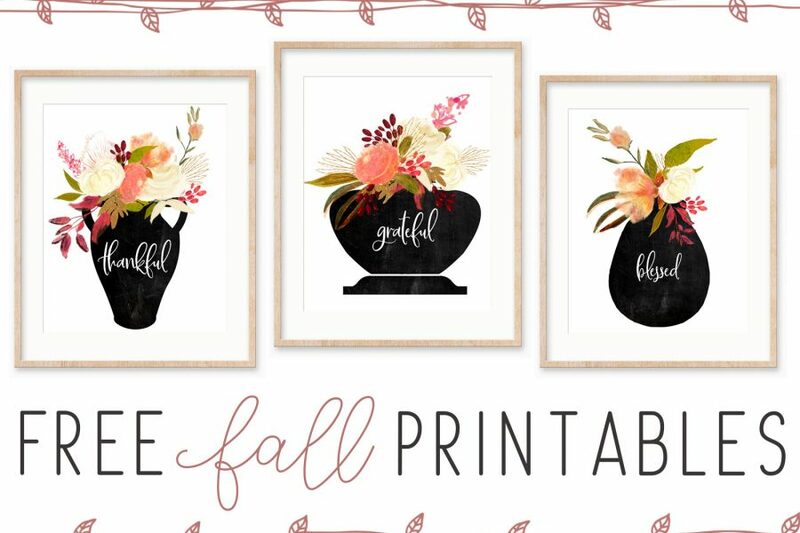 previous article: Thanksgiving Printables – Free! next article: The Harper House Reno has started!